The death yesterday of Robert Conquest, author of The Great Terror, reminds us of the pathetic attempt by public school Stalinist hack Seumas Mine to challenge Conquest’s facts about the death-toll brought about by Stalinism. JD adds: This last comment (“it becomes easier to skate over the uniqueness of the Nazi genocide and war”), suggesting that Conquest’s aim was to down-play Nazi genocide, is a simply despicable piece of Stalinist guilt-by-innuendo against Conquest, a proven and consistent anti fascist (which is more than can be said for the tradition Seumas belongs to). It demonstrates just how well the contemptible Milne has leaned from the filthy, lying methodology of Stalinism. “Please accept my most sincere congratulations on your sixtieth birthday. I take this occasion to tender my best wishes. I wish you personally good health and a happy future for the peoples of the friendly Soviet Union. Do wish you wouldn’t classify the execrable Cockburn as Irish ! He only hid out in Ardmore. When it comes to Iraq of course this process works the other way around. See the behaviour of Milne associates Medialens in trashing Iraq Body Count for example. https://twitter.com/MediaLensWipe have been following their outrageous efforts closely. 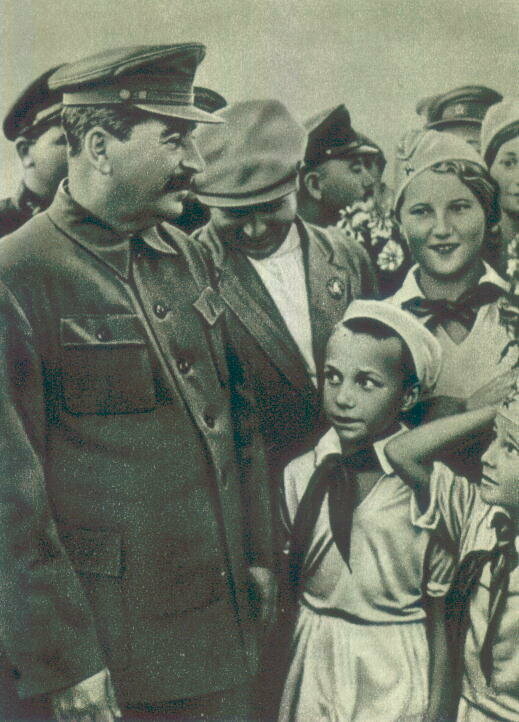 Interestingly (according to data quoted in Orlando Figes’ latest little book – which is more of a re-hash of previous work with a postscript) modern day Russians are more likely to estimate figures for deaths resulting from Stalin’s rule in line with those presented by Conquest *AND* more likely to think that Stalin was a good thing. A country goes from a peasant society to a superpower in thirty years. I wonder how many millions died because of the leaders of the British Empire and their plunder of whole countries. Did not do you any harm did it. Probably leading a good prosperous life due to our ancestors. Incidentally there were other Empires and Colonialists. French, Belgium, Spanish, Turks etc. But do carry on and blame the British. The British maybe should have caved in to Adolf. It can be reasonably argued that the sole reason the USSR survived WW2 is because of American and, particularly early on, British aid. Trucks, tanks, aircraft etc. Saying that is, though, like farting in church. The Soviet Union was only ever a superpower in a military sense. In every other way it was only 1/2 as “super” as any Western nation. But I don’t understand your argument, are you saying that because imperalism was brutal we should not condemn Stalin for what he did? “A country goes from a peasant society to a superpower in thirty years.” And back again in about 10. The countries of the British Empire thought much about it they won’t have Westminster running them in a month of Sundays. The people of the UK (including the majority in Scotland) are obviously unthinking idiots, then, eh? This just in! There hasn’t been a British Empire for donkeys years! The economic costs began to out-weight the benefits…so ergo they got rid of it. Seems most Daily Mail readers don’t think the British Empire is gone. The “nations” of the old SU certainly didn’t want to have the Kremlin running them! LOL…they could not wait to break away. Ha, ha, ha, ha, ha, ha (etc ad nauseam). The first and only example in history of a system and state with enthusiastic mass support from its people collapsing without a struggle ! I think “Before the August Coup of 1991” is the relevant proviso here. And after that, the collapse of the USSR was swift. I wonder what a Soviet Union run by Trotsky would have been like.